I walked a little ahead of my detecting buddy Jeff as we searched along the bulldozer trail for gold nuggets. The bulldozer had pushed little berms of material along each side of the trail as it made its way through the old tailing piles. I swung off the trail to one side where the tailing pile sloped down into the brush. Sweeping my White's MXT over a moss covered cobble pile resulted in a loud beep. I peeled the moss and cobbles back with my pick and looked down at the largest gold nugget I have ever found! This story actually starts in 1972. 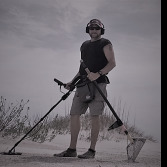 That is when I purchased my first metal detector, a White's Coinmaster 4. I put in lots of hours with that detector, finding thousands of coins in Anchorage, Alaska, in the days before metal detectors became more common. I was already doing a little gold prospecting and so I just had to try my new detector out for finding gold nuggets. I purchased a little 4 inch coil touted by White's as being the hot ticket for finding gold. They actually called it the "Gold Probe". However, after a couple outings I discovered that the detectors of the day were just not up to the task. The inability of the early units to compensate for ground mineralization made it impossible to find all but the largest nuggets. I am sorry to say that these large nuggets were very uncommon in my area, and so the chances of my finding gold with the early model detectors were slim to none. This early experience caused me to overlook metal detectors as a practical mining tool for many years. In fact, when my partner Dudley Benesch and I got into business in 1976 we sold metal detectors from the start but strongly downplayed their usefulness for prospecting. My standard line was "you can probably find more gold with a $5.00 gold pan than a $500.00 metal detector". During the 1980's, I was heavily involved in gold dredging, so much so that I did if full-time for a couple of years. The amount of gold I thought I might find with a metal detector seemed trivial compared what I was producing with my suction dredges. I continued coin detecting from time to time but did not spend as much time at it as I had previously. It was at this time that stories of fabulous gold finds in Australia started to appear. My attention returned to using metal detectors to find gold nuggets, and I finally found my first nuggets with a Compass Gold Scanner Pro in 1989. I was still selling metal detectors as a dealer and it was about 1990 that White's introduced its breakthrough Goldmaster II. At an operating frequency of 50 kHz, it was by far the most sensitive detector available for smaller gold nuggets. The Anchorage area has lots of gold but it is mostly in match head size and smaller nuggets. Nuggets weighing up to one-quarter ounce are very rare and nuggets weighing an ounce or more are almost unheard of. The Goldmaster II opened up the local area to nugget detecting with its small gold sensitivity and ease of operation. Put all this together with its bargain retail price of $499.95 and the Goldmaster II quickly became one of the fastest selling metal detectors ever. It is one of the only detectors I ever sold that quite literally could not be produced fast enough to meet demand. I contributed to this electronic gold rush by taking my new Goldmaster II to local gold mining sites and finding thousands of gold nuggets with it. One popular site, Crow Creek Mine, had produced only small numbers of nuggets with other metal detectors. However, the Goldmaster II and its successor, the Goldmaster V/SAT, appeared be the perfect detectors for Crow Creek. The creek has only moderate mineralization and tremendous amounts of the smaller gold the White's units could find so easily. All of a sudden it seemed like gold was pouring out of the mine, all due to the introduction of the Goldmaster models. Jeff was managing our Mining Department at that time, and if anything, he was even hotter than I with the Goldmaster. We were both having a great time finding gold and posting photos of our finds at the store. The Goldmaster models got so popular at Crow Creek that problems started occurring with so many people running the same frequency unit in the same area. Detectors running at the same frequency interfere with each other electronically, and it got to where people would have to take turns running the detectors at some of the more popular locations at Crow Creek. This problem was finally solved with the introduction of the Goldmaster 3 and its frequency shift control. Despite these successes, gold dredging still occupied the majority of my free time in the 1990's. I was using a 6-inch dredge as my production unit, and the consistency with which I produced gold with it could not be matched by the more sporadic success one has with a metal detector. That, and the finds at Crow Creek and other local sites were depleting and so more and more time and effort was required to be successful detecting gold in these areas. A couple things about my dredging bothered me however. One was that I was finding good quantities of gold but I was finding very few large nuggets. It was not until 1998 that I finally found a 1 ounce gold nugget while gold dredging. My use of larger dredging equipment was tying me down to local areas where large nuggets are very rare. I really wanted to be able to find a monster nugget like I would read about other people finding. Second, I was spending all my time going to the same nearby areas, over and over again. Days, if not weeks, were spent working in the same stretch of creek. I wanted to get out and spend more time exploring remote areas of Alaska. I became convinced that if I wanted to get serious about gold and prospecting I needed to get away from the local area. Therefore, I made a conscious decision in 2000 to focus on metal detecting as a prospecting method instead of suction dredging. I sold my mining claims near Anchorage and my 6 inch gold dredge and invested the money in new metal detectors. I have used all the various brands over the years and found each one has strengths and weaknesses. In my opinion one key to successful nugget detecting is to have a variety of machines with differing capabilities. I invested in several makes and models of metal detectors that I use depending on particular nugget detecting tasks. I was amazed with the results of my new strategy. Not only did I see no real decline in the amount of gold I was finding each year, but my nugget finds blew away decades of dredging results. I was finding more gold nuggets weighing over an ounce than I had thought possible. My previous record of a 1 ounce gold nugget from Crow Creek Mine was totally eclipsed by 4.95-ounce nugget from Ganes Creek in 2001. Finding that nugget was one of the biggest thrills of my life! The real secret proved to be the freedom afforded by my metal detectors. With only a few pounds of gear to pack, it became far easier to go to remote Alaskan sites where large gold nuggets are found. It helped tremendously that I have developed many contacts with miners in my years of business and as a member of the Alaska Miners Association. These contacts are helpful when it comes to getting access to nugget producing mining claims. The fact is that most of the good locations for nugget detecting Alaska are on mining claims and so getting permission from the claim owners is critical. Ganes Creek is in west central Alaska near the town of McGrath. Ganes Creek has produced some of the largest gold nuggets ever found in Alaska, including a 122 oz monster. The creek has a long mining history and so has many miles of tailing piles from old bucket line dredge operations, and from more recent heavy equipment operations. It was at Ganes Creek that I found my 4.95-ounce nugget and numerous other gold nuggets in the 1 to 2 ounce range in 2001. With some prodding on my part the owners of Ganes Creek decided to give a "pay to detect" operation a try. Opportunities to metal detect at places like Ganes Creek are rare, especially for people from outside Alaska. As part of the effort to get the word out about the operation, I received permission to bring a couple "key players" in the detecting industry up to Ganes Creek for a short visit. The idea was that once they saw the potential firsthand they would no doubt spread the word to others. In the spring of 2002 I decided to organize a Gold Show at Crow Creek Mine near Anchorage. We had never done this type of show in Alaska before and I thought it would be fun for all involved. Little did I know the work that goes into making a show like this come together. It proved to be a massive undertaking, but a rewarding one. One key to a successful gold show is to try to convince manufacturer representatives into making the expensive trip to Alaska. We received a lot of support from various suppliers but that shown by White's Electronics and its Alaskan distributor Renton Coin Shop was truly exceptional. Many accessory items and gold coins were donated as prizes to be given out for various activities of the gold show. Most impressive was the latest version of the White's Goldmaster, the new GMT, which was donated as grand prize in the detector hunt held during the show. This was very fitting, as there have probably been more Goldmasters at Crow Creek over the years than any other single model of metal detector. The generous donations were greatly appreciated by everyone attending the show. I would like to offer particular thanks to Mary Gladding of Renton Coin Shop for her enthusiastic support. Steve Houston of White's Electronics had come up for the gold show, and so I took the opportunity to arrange a trip up to Ganes Creek. Steve is an avid nugget hunter and so he jumped at the opportunity. I arranged for a visit immediately after the Gold Show ended. Steve had never been in a small airplane before, and so the bush plane flight into Ganes Creek from McGrath was an adventure in itself for him! Having flown in small planes my whole life, I underestimate the effect swooping low over the terrain and landing on small runways has on the inexperienced flyer. After we arrived at Ganes Creek, we did a bit of metal detecting in the immediate camp area, as quite a few gold nuggets had previously been found right around the cabins. The whole camp is built on old tailing piles that have been flattened out. After a little time spent with no results, we decided to head upstream. The first group of 10 visitors was already at the mine, and two nuggets weighing over 5 ounces each had been found the day before. The nuggets were found just upstream of a large drainage ditch that had drawn my attention the last time I had visited the mine. The ditch is piled high on both sides with excavated material. I reasoned that the piles might contain some nuggets, since the material from the bottom of the ditch was from deep below the surface. We started detecting the area, and in an amazingly short time, I heard Steve yell that he had found one. Sure enough, scanning the sides of one of the piles with his GMT produced a chunky 3.2 oz gold nugget! Well, that was so easy we figured there must be a bunch of nuggets along the ditch. However, as much as I tried I could not find a nugget myself, and Steve's initial find remained his only find. As if he really cared! I finally wandered away and found a small gold nugget on a large tailing pile nearby but that was it for the day. This was a very short trip and so we only had the following day to try and find more gold. I found a few more small nuggets and Steve found none. Searching tailing piles for gold nuggets is literally like looking for the proverbial needle in a haystack. Entire days go by with no finds, but when gold is found it tends to be worth the wait. I was grateful Steve Houston found a nugget as large as he had in our limited amount of time. It was the largest nugget he had ever found, and better yet, larger than anything his regular hunting buddies had found. More than 30 people visited Ganes Creek in the summer of 2002. Over 10 pounds of gold was found, with many nuggets weighing over an ounce and several in the 5-ounce range. The success rate was amazing; with a large majority of the visitors able to say they found the largest gold nugget of their lives at Ganes Creek. Still, people started to wonder if the creek was "worked out" and that all the nuggets had been found. I scoffed at this idea, as I have seen even small parks produce old coins missed by decades of diligent metal detecting. The idea that a few dozen people could find all the nuggets to be found in many square miles of tailing piles is not something experienced detectorists would worry about. To prove the point, I put the word out that I would make a visit to Ganes Creek after all the visitors had been there that summer and go find some gold. OK, I have to admit there was a certain amount of bravado in this. The fact is that detecting tailing piles is very much a hit and miss proposition. In general, sheer hours of diligence will pay off, providing the nuggets are there to be found at all. However, there also is a bit of luck involved, and sometimes even the most dedicated person will get skunked. If it was easy we would all be out swinging a detector looking for gold nuggets for a living, but that is not the case. So, although I was talking big I certainly had my doubts about how much gold I would find. It was late in the season when Jeff, Brian, and I made that final 2002 visit to Ganes Creek. Brian is an avid gold dredger and so his focus for the trip was to do some exploratory gold dredging. Jeff and I were both hot to go detecting for gold, however. As I noted before, Jeff is a very accomplished detectorist, and we usually have a cheerful competition going while nugget detecting. We brought along several different detectors to try. I had my GMT but also White's new MXT model. I was intrigued with this machine that combined the basic Goldmaster circuitry with the features normally found on high-end coin detectors. I figured its exceptional target ID features might prove useful in the trashy tailing piles, and especially around the camp area. Jeff and I traded machines back-and-forth to get a feel for how the different detectors worked at Ganes Creek. Jeff in particular was in the market for new unit, and so was most interested in trying them out comparatively. We first headed back up to that ditch area where many of the large nuggets were found, including Steve Houston's. The area had been hammered hard all summer, but we figured there might be some gold left to be found. I located a 13.8 dwt (dwt = pennyweight) nugget, and then a 3.8 dwt nugget (20 pennyweight per ounce) the first day. Jeff, although he tried in earnest, came up with no nuggets. We also tried some old tailings upstream farther, but found no more gold that day. The second day dawned under rainy skies. We decided to stay near camp, and see if there were more nuggets waiting to be found around the cabins. I grabbed the new White's MXT, while Jeff used the GMT. The rain poured, but we stuck with it. Lots of bullets and shell casings were dug, which I consider a good sign. You cannot get all the nuggets and leave bullets in the ground. However, by the end of the day we had no nuggets. We headed up to the bench deposits above camp and found some small nuggets, just so we could say we did not get skunked. Jeff found a nice little pennyweight nugget, and I got a few smaller bits. Nothing to brag about, but at least we could say we found gold. I have to note that I was very impressed with the MXT around camp. 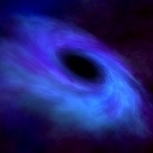 I used the 6" elliptical coil, and ran the unit in the relic mode. This mode, when set up a certain way, gives a high tone on non-ferrous targets, and low tone on iron targets. It was easy and efficient around camp, and all the targets I dug were non-ferrous items. It has very good trash separation with the small coil, and easy target ID with the dual tone system. The machine was great for places where trash is literally inches apart. The weather cleared the third day. Jeff again ran the White's GMT, and I the MXT with the small coil. We started in camp, and I found a small nugget just behind the cabins. We then tried some of the dragline piles above camp near where I found my 4.95-ounce nugget in 2001. I switched the MXT to the 950 9.5" coil. Both Jeff and I found nuggets weighing several pennyweights each. So far we were not exactly knocking down the nuggets. Frankly, we were both a bit puzzled, as our constant digging of bullets indicated nuggets were still to be found. If an area were thoroughly detected we would be digging nothing at all. Nevertheless, our nugget results were lean, and so our enthusiasm was flagging. I am a big fan of aerial photos, and had some new ones showing an area downstream opposite the old bucketline dredge machine shop. Long rows of old bucketline tailings ran far back away from the road, and so I suggested we run down and check them for a change of pace. Jeff was running the White's GMT with the Sierra Max 14" coil, and I ran the MXT with stock 950 coil. The more I used the MXT the more I liked it. On the cobble piles I ran in prospect mode, with full gain, minimum V/SAT setting, and in automatic ground balance. The 14.7 kHz frequency ran smoother on the mixed rocks of the cobble piles than the higher frequency GMT. High frequency detectors tend to get weak signals from mineralized rocks because of their extreme sensitivity. The MXT seems well suited for searching areas of mixed mineralization due to its lower frequency and fast automatic ground balance. We followed an old bulldozer trail back towards the area I had spotted in the aerial photos. I concentrated on the edges of the main trail near to and in the brush. My goal was to cover obscure areas others may have missed. I finally got a good clean signal and gave a couple digs with my pick. The moss and rocks flipped back, and there lay a large gold nugget. I did not get as excited over this one as with my 4.95 ounce nugget of the previous year, as I was not sure exactly how much the nugget weighed. Jeff, however, knew immediately it was something to jump up and down over. And he was right, as upon weighing it came in at 6.85 ounces! My largest nugget ever, and the largest found at Ganes Creek that summer. I also had the satisfaction of proving that finds always remain for those willing to look. This particular nugget is strange, with very dark, lustrous quartz encasing a solid gold core. The quartz is almost like agate. Fingers of dendritic (leaf) gold reach up from the gold core into the quartz shell. It is a unique nugget, unlike any I have seen before. And at 6.85 ounces it gives me entry into a very exclusive club. Few people can say they have found a gold nugget weighing over one-half Troy pound without heavy machinery. My White's MXT had paid for itself rather spectacularly. It is hard not to like a detector that finds a big gold nugget. However, while it bench tests well on small gold, frankly it does not hold a candle to the White's GMT when it comes to very small gold under actual field conditions. If small gold is your bread and butter, the GMT is still the way to go. Not only do higher frequency detectors have an innate edge on tiny gold nuggets, but also the manual ground balance on the GMT offers better control for small gold. The MXT must be auto ground balanced, then "locked". The GB point is then fixed, but it cannot be manually adjusted from there. The GMT has both automatic and manual ground balance. The MXT does do very well on nuggets weighing a few grains or more, and the bigger the gold gets; the less difference there is between the MXT and GMT. Frankly, for nuggets weighing in pennyweights or more, I actually prefer the MXT. It operates smoother than the GMT in mineralized ground, and has depth as good as, and maybe under some circumstances better than, the GMT. It is a great machine for large nugget hunting. Combine that with the fact that it has a superior target ID system, with both iron readout and conductivity measurement, and you can actually do things like tell most gold nuggets from a .22 shell casing. I used the relic mode with the small coil on the MXT to work extreme trash areas to good effect. This machine has lots of potential to explore, and yet is very easy to use. Add in the fact that it has a 6.5" x 4" elliptical DD, 5.3" round concentric, and 10" x 5.5" elliptical DD coils available as options, and I think the MXT is now the machine to beat for all-around use. Coin, nuggets, relics, and jewelry... it does it all. Moreover, despite its wealth of features, the list price is only $799.95. This article may seem like a White's ad, as I have purposely made the brand a centerpiece of the story. The fact is that I have owned and used all the major brands of detectors and continue to do so. I think all the major manufacturers make good units; Nevertheless, White's will always hold a special place in my heart as being the first brand I ever owned. 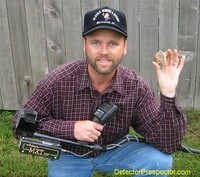 It was that White's Coinmaster 4 that got me started metal detecting all those years ago. To come full circle 30 years later and find the largest nugget of my life (so far) with a White's detector is particularly fitting. You may contact me online at the DetectorProspector Forum if you have questions regarding this article.